Discover advice from creative, life and business coaches, entrepreneurs, and more, with these top inspirational podcasts to help you gain confidence and live your best possible life. We’ve put together a quick list of some of the top free inspirational and motivational podcasts available through iTunes, Google Play, Stitcher, and other great podcasting platforms. Each aims to help inspire and motivate listeners across a variety of fields, from creatives looking to channel their passions to entrepreneurs looking to hone their skills, individuals looking for a confidence boost to help kickstart the next stage in their personal or professional development, to those looking for a healthier work-life balance. Learn about work-life balance, making work more meaningful and creative, inspirational true stories from world-leading thinkers and doers. If you’ve never come across the TED Talks series, you have been missing out. Starting as a series of conferences, now with over 2,800 talks available to access for free online, each TED sub-brand comes together to share a simple underlying theme: these are ideas worth spreading. WorkLife with Adam Grant takes listeners inside unconventional workplaces to explore ideas we can all use to make our work more meaningful and creative. Presented by organisational psychologist, New York Times bestselling author, and popular TED speaker Adam Grant, each weekly episode focuses on an extraordinary workplace. From looking at award-winning writing teams racing against the clock to sports teams whose culture of humility propel them to unexpected heights, each episode offers an immersive interview filled with insight and presented in an accessible, friendly style. TED Radio Hour looks at the fascinating ideas, inventions, and fresh approaches to old problems, inspiring listeners to discover new ways to think and create. Based on talks given by some of the top TED speakers, each show focuses on a theme such as the source of happiness, inexplicable connections, or power shifts. Looking at such a wide variety of questions and thought-provoking discussions, there’s always something different to fascinate, motivate and inspire. 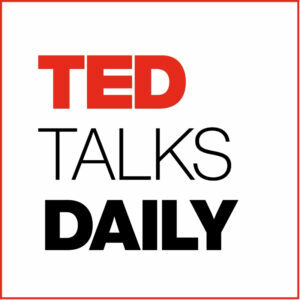 TED Talks Daily provides new episodes every weekday. Bringing the latest TED and TEDx talks to listeners in audio format, if you don’t usually have time to watch these speakers on YouTube, this can be a great way to catch up on the go, hearing thought-provoking ideas, personal experiences, and groundbreaking research on just about every subject out there, from artificial intelligence to zoology (and everything in between). Be inspired and motivated to make changes around daily life, work towards personal and professional growth, reducing stress, entrepreneurship, setting goals, work-life balance, and more. 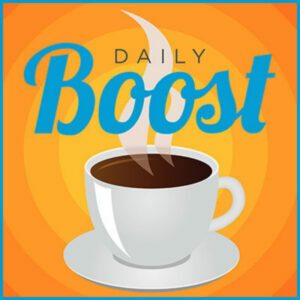 One of the top-ranked self-help podcasts since launching in 2004, The Daily Boost provides (almost) daily motivation for listeners around the world. Each episode offers a unique, straight talking, and often funny boost filled with strategies to help listeners at home or at work. Covering a broad range of topics from what makes us happy to offering simple tips on reducing stress, how we can find inspiration to mastering life skills like communication and advancing in our careers, The Daily Boost offers a little motivational push. Great for creative entrepreneurs, freelancers and enthusiasts to discover more about motivation, professional creative growth, positive habits, mindset, healthy routines, and the power of setting boundaries. 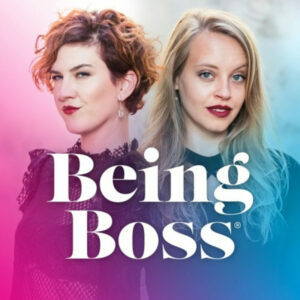 Whether you’re thinking about quitting your day job or have been your own boss for a while, the Being Boss podcast is perfect for creative entrepreneurs. Authors and ‘business besties’ Emily Thompson and Kathleen Shannon dig into the personal mindsets, habits, routines and boundaries, as well as the professional systems, strategies, tactics, and processes that can help turn doing what you love into something you can make money from. Offering a mixture of interviews with bosses, tips and helpful advice, this podcast is a must-listen for creatives who have ever thought of becoming their own boss. Showing a glimpse into the excitement, challenges, and rewards the journey through entrepreneurship can offer, discover more about how you can grow, question and celebrate your creativity in your own way, at your own pace. Offering inspiration around personal growth, creativity, and forging your own path. 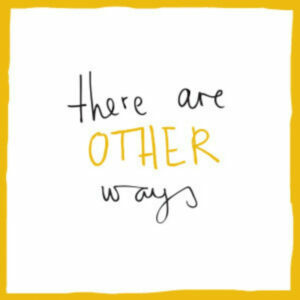 One of the newer podcasts on our list, There Are Other Ways: Conversations About Living Life A little Differently offers weekly episodes aimed at people who are exploring less well-trodden paths in life. Presented by Fiona Barrows, each episode features an interview with someone who is living their life a little differently, offering insight, support and inspiration for listeners to do the same. Whether you’re interested in travelling the world, are passionate about starting your own creative business, or refuse to judge yourself by others definitions of success, doing things differently can seem scary or overwhelming. These true stories of other people’s successes and journeys can help dispel those fears and take the next step on our own path. Hear support, guidance and encouragement from creative coaches and business owners. Launched in 2018, Letters From A Hopeful Creative feels more like a series of mini coaching sessions and pep talks rather than your typical podcast. 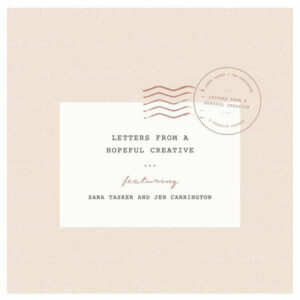 Creative coaches and online business owners Sara Tasker and Jen Carrington answer a new letter from a hopeful creative each week, offering guidance, support and encouragement in their journey while sharing some of the lessons they have learned along the way. Listeners can submit a letter for consideration, or look forward to a new episode each Monday morning. For those who find self-doubt holds them back in their personal or professional life. 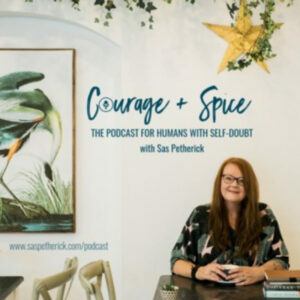 Sas Petherick’s Courage & Spice inspires conversations about all things self-doubt. Featuring real-life stories and research-led approaches to help listeners navigate their way through relationship, career, creative, or business related self-doubt, each episode focuses on specific how-to’s. Offering actionable advice and interviews from inspirational people who have overcome their self-doubt to do big things, special guests range from company founders who set up their businesses to help them with their anxiety and depression, to founders of mental health programmes that help schools teach young people how to cultivate their self-esteem. Learn about the tools, tactics, and tricks used by actors, CEOs and creatives to boost their success. You might have heard of Tim Ferriss, the bestselling author and self-proclaimed human guinea pig known for his book, The 4-Hour Work Week. 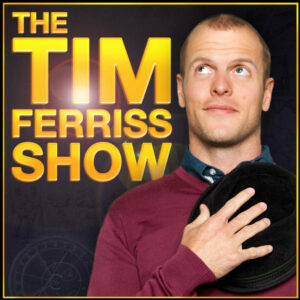 The Tim Ferriss Show regularly tops the Apple podcasts business section, with over one hundred million downloads to date. In each episode, Tim deconstructs world-class performers from across the board to discover the tools, tactics, and tricks that have worked for them that listeners can use too. With past guests including actors Arnold Schwarzenegger, Joseph Gordon-Levitt, and Vince Vaughn; editor in chief of WIRED Nick Thompson; and founder of Airbnb Joe Gebbia, each episode offers a unique and interesting focus. Varying greatly in length from around 20 minutes to over two and a half hours, this podcast offers a mixture of interviews and advice. Currently, there are over 300 episodes available to listen to, offering advice and inspiration for just about every situation. Join business coach Jamie as she explores the failures, advice, tips and stories of successful entrepreneurs. Eventual Millionaire features over 350 interviews with successful entrepreneurs who have gone on to make their first million (or more). Business coach and podcaster Jamie talks through how you can increase your revenue without sacrificing the most important things in your life, how successful entrepreneurs use their time efficiently and effectively, as well as exploring the habits and quirks that make them different. Sharing parts of her own inspirations and journey on her blog and podcast, Jamie’s main goal since she was a child has been to enjoy her life and future, rather than to work a job she hates (as both of her parents did). 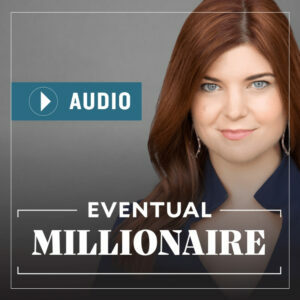 Despite the high focus on millionaire and billionaire interviewees, Eventual Millionaire is more about loving what you do, avoiding the cycle of dreading the week ahead come Sunday evening, and finding ways you can both enjoy life and make money. Listen in for weekly leadership tips for lasting success. 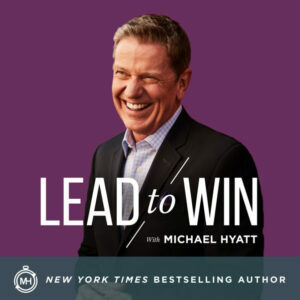 With over 15 million downloads to date, Lead To Win With Michael Hyatt combines current research with timeless wisdom to help listeners achieve lasting success. From personal productivity and development to leadership, Lead To Win introduces tools and insights that can help listeners succeed. 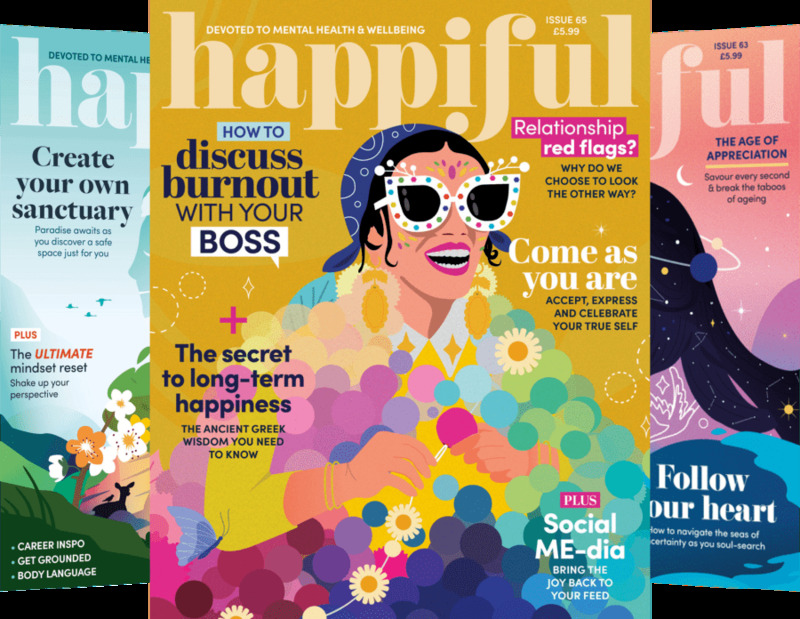 Covering a little bit of everything from self-care as a leadership discipline, to how to keep meetings from ruining your productivity; a beginners guide to journaling, to discovering the elements that make a great team culture, discover sustainable ways to achieve over short-term wins.